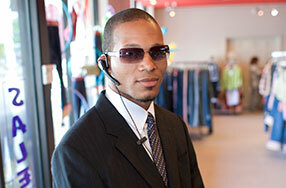 Consumers expect property owners and store managers to ensure their safety and security in retail establishments. These establishments can be department stores, grocery stores or shopping malls. If you or a loved one was injured in an accident that could have been prevented by proper security measures, contact our firm. In Seattle, inadequate retail security attorneys at Kraft Davies, PLLC, have decades of experience representing injured individuals. Our thorough knowledge of industry safety and security standards allows us to provide clients with a realistic assessment of their case and expert advice on how best to proceed. After fully examining the factors surrounding the incident, we can develop an effective and unique case strategy. In retail establishments — large or small — security is important. The potential for violence or assaults increases exponentially when large groups of people converge in the same location. Individuals who suffer such an attack can feel the effects of this violence both physically and psychologically. Do not hesitate to contact an attorney at our firm to schedule a free consultation. We will analyze the circumstances of your injury and help determine if a case exists against the owners of the establishment where you were attacked. At our firm, we believe that retail establishments need to take the safety and security of their customers seriously and devote the resources necessary to protect customers from criminal activities. For more information or to schedule an appointment with an experienced personal injury lawyer regarding inadequate retail establishment security, please contact us.